Afghan-Taliban's secretive head Mullah Omar's name has been "quietly removed" from the FBI's list of most wanted terrorists, Pakistani media has claimed. The news has prompted the FBI to clarify that he had never figured in its list. 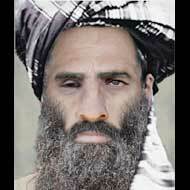 Mullah Omar, who ruled Afghanistan during the Taliban regime in mid-90s, was never on the FBI's most wanted list but continued to be on a list of the State Department, which has declared "up to USD 10 million" on his head. "So there is no question of him being removed from our list," said a spokesman for FBI, which maintains a list of most wanted terrorists responsible for attacks inside the US.